Geneva Baker is one of those Medal Maniacs (along with her husband Paul) that you see everywhere. They’re at all the parties and if you’re looking for someone to trade with, Geneva is the go-to person. I was super excited to partner with her this year on her “Yo Quiero Fiesta” Chihuahua Fiesta Medal! ??????????????? 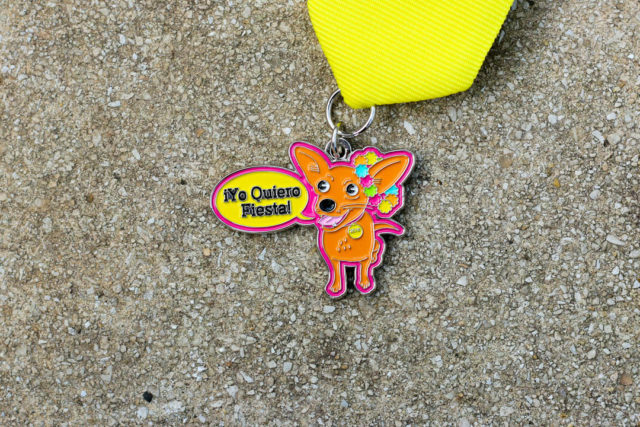 ?Order the Yo Quiero Fiesta Chihuahua Fiesta Medal in the SA Flavor Store now!???????????????? 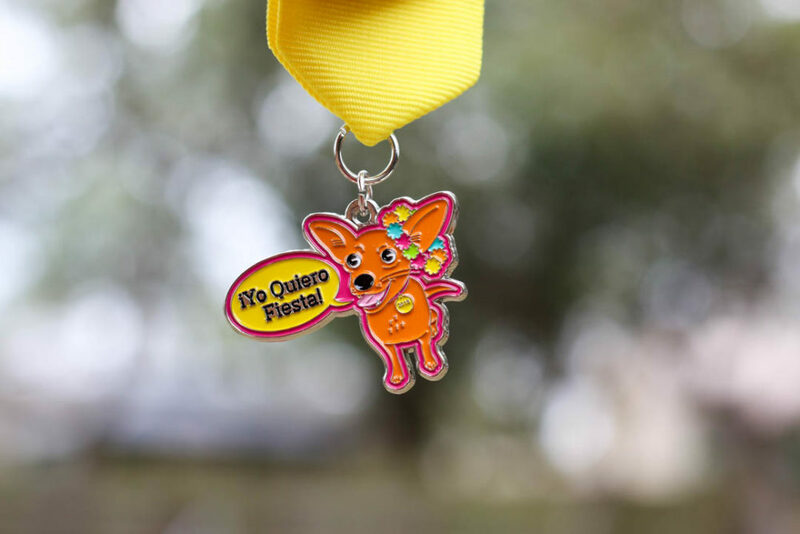 Geneva loves dogs and has a lot of Chihuahuas, so that was the inspiration of the Fiesta Medal. We decided to draw on the popular 90s catchphrase (the word “meme” wasn’t around back then) and outfit our little Chihuahua with a corona of flowers. The date of the Chihuahua Fiesta Medal is on the dog tag that she is wearing around her neck. 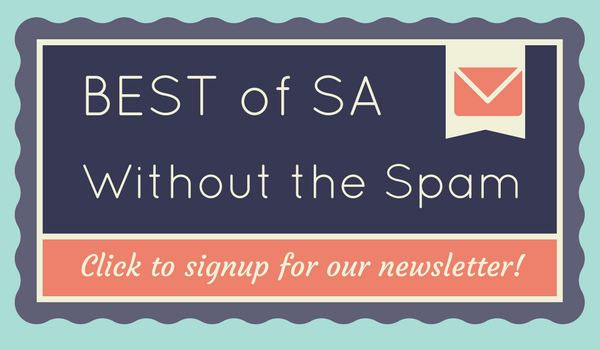 One dollar of every sale will be donated to the Animal Defense League of Texas, a charity that she and her husband both believe in because it’s a true no kill shelter dedicated to enhancing the quality of life for abandoned and abused dogs and cats.